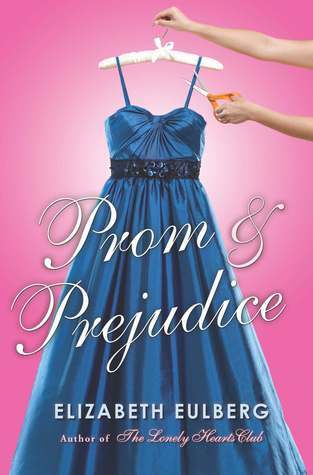 Prom and Prejudice by Elizabeth Eulberg, also the author of The Lonely Hearts Club, retells the beautifully crafted, Pride and Prejudice by Jane Austen in a contemporary setting. The snotty, rich, and also materialistic girls at Longbourn Academy are obsessed with prom. Lizzie Bennett, a scholarship student and musical prodigy at this prestigious upper class Connecticut school for the socially elite could care less about the importance of prom at Longbourn, but is happy for her friend’s blooming romance with a certain Charles Bingley. Although, Charles’s friend Will Darcy does seem to make quite the impression as a selfish, rich snob. Clearly, Will is a pompous jerk, so why does Lizzie find herself drawn to him anyway? Will Lizzie’s pride and Will’s prejudice keep them apart? Read this very funny, very addicting short read to find out!